A Parks Canada National Historic Site, Port au Choix is home to aboriginal cultures and heritage dating back almost 5,000 years. There is an expanse of trail networks around the interpretation centre, an active French bread oven, studios, shops, restaurants, cultural experiences, Point Riche Lighthouse and even home to grazing caribou. Port au Choix is a nature lover’s paradise. A destination, if you want to see wild caribou up close. This year as part of Canada 150, entry to National Historic sites have free entry to those who request a Discovery Pass online. I highly recommend visiting the interpretation centre to learn more about our aboriginal cultures. The importance of land and sea can not be overstated to the people of Port au Choix for 5000 years and all of those living past and present on the Great Northern Peninsula. Where the World Came Full Circle: 100,000 years in the making and it happened right here! 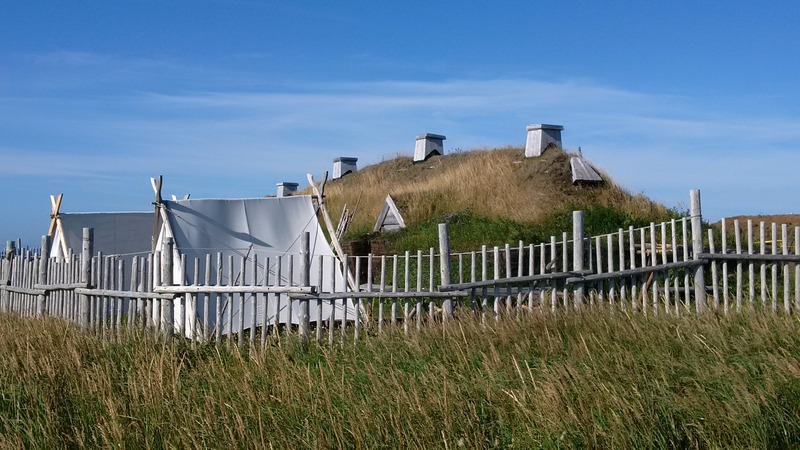 L’Anse aux Meadows with a population of about 30 permanent residents continuously see more than 30,000 visitors annually to a Parks Canada and World UNESCO site, which depicts the only authenticated Norse site in North America. However, the story is much bigger than the first place the Europeans re-discovered North America more than 1,000 years ago – in fact, it is the place where humanity came full circle – an event more than 100,000 years in the making! All our ancestors originated in Africa as the super-continent parted more than 100,000 years ago as they set off to explore and discover the world. These ancient tribes went to all corners, those who turn left to Europe were stopped with the uncross-able barrier of the Atlantic ocean, while those who turned right entered Asia and eventually crossed the narrow Bering Strait, giving them access to North America. Discoveries on the Great Northern Peninsula at Bird Cove at the 50 Centuries Interpretation Centre (www.facebook.com/50Centuries) authenticate the Maritime Archaic Indians were in our region more than 4,500 years ago followed by the Paleo-Eskimo, Groswater Eskimo and recent Indians. They two were faced with the barrier of the Atlantic ocean preventing them from meeting up with their relatives that travelled left. It was the Vikings that would close this gap, where the world would come full circle. It was right here on the Great Northern Peninsula at L’Anse aux Meadows after 100,000 years that Leif Erikson would encounter what he referred to in the Norse sagas as Skraelings in which for the first time in history those who went left encountered those who went right. The passage from mainland Europe to Iceland to Greenland to our very own “Vinland” (tip of the Great Northern Peninsula) made all this possible. We have a much bigger story to tell! The very tip of the Great Northern Peninsula is where the world came full circle. Think about that for awhile. Then begin planning your visit because you will want to visit the one place in the world where humanity came full circle for the very first time. It only took 100,000 years :). The Great Northern Peninsula is full of history, incredible culture, tangible and intangible assets, natural beauty, nature, wildlife, heritage and people that make this place a top destination for anyone wanting to experience something only a few have the privilege of living each and every day. 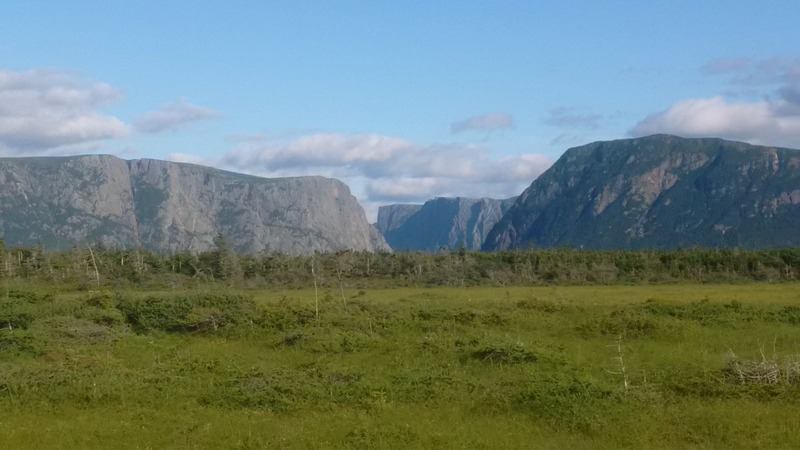 The fjords of Gros Morne National Park are a remarkable sight. This prominent flat laying mountain chain runs north until about Daniel’s Harbour. The best viewing vistas is Western Brook Pond where one can take a two hour boat tour of the ancient fjords carved out by Glaciers via BonTour (Visit their website at: http://www.bontours.ca/tour/western-brook-pond-boat-tour/). Driving up Route 430 one will not miss the parking area jsut 27 km North of Rocky Harbour, as it is almost always nearly filled, even between boat tours. Digital signage clearly marks when the next tours will commence, as well as information about the boardwalk distance and what one can expect along the way. 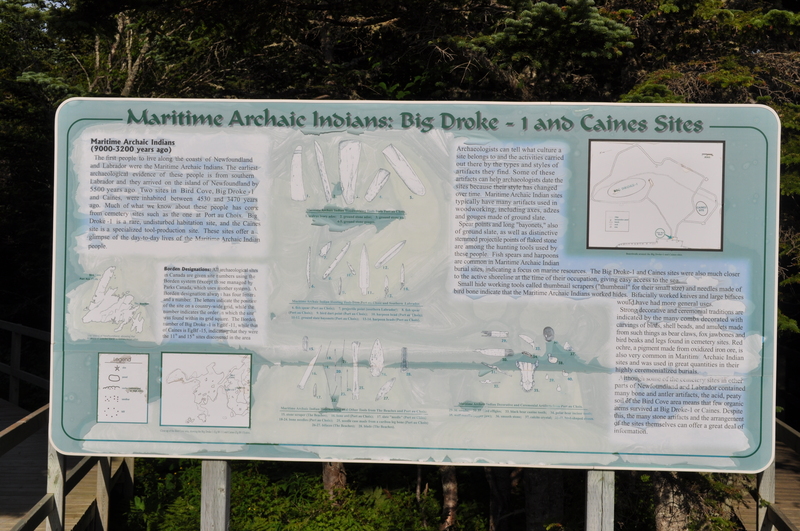 Interpretation panels share valued knowledge, as well as binoculars, washroom facilities and rest stops are provided. I encourage you to come and experience cascading waterfalls, billion year-old cliffs, and bird and wildlife sightings. The tour is one of the many incredible offerings on the Great Northern Peninsula. Deer Lake Regional Airport is the gateway for visitors travelling the Great Northern Peninsula. This summer was record-breaking registering more than 40,000 passengers in both July and August. Last year more than 300,000 passengers passed through Deer Lake Airport earning it the record of the 4th busiest airport in Atlantic Canada. 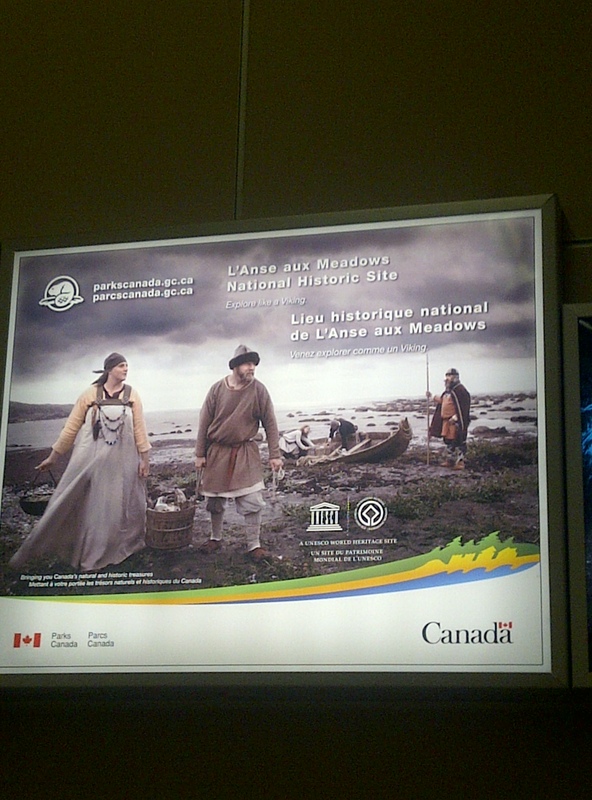 While waiting for my bags at the carousel, I peered up at the wall and was pleased to see Parks Canada advertising L’Anse aux Meadows National Historic Site. It got me thinking about how airports are gateways to promote local business and the tourism industry. We need to move past static signage and use more dynamic means of promotion – interactive screens. In the 21st century we have the ability to utilize technology and what better place than when waiting for baggage to come, sometimes 15-30 minutes of a captured market. Deer Lake Airport could have five large screens promoting distinctly the five economic regions: Tip of Great Northern Peninsula, Gros Morne National Park area, Corner Brook/HV, Stephenville & Port au Port, and the Southwest Coast. This was a message I relayed to Jamie Schwartz, CEO of Deer Lake Airport. This is an opportunity to promote business, local attractions, events and images of landscapes and natural areas via short clips or imagery. This is what visitors really want. A partnership should be struck with Department of Tourism, Culture & Recreation; Department of Innovation, Business & Rural Development; Airport Authority; Western DMO and local industry stakeholders to add technology and pilot a project. The screens and other static displays should have bar codes to provide further information by using tablet or mobile devices. This is being pursued by many countries in Europe. If we want to grow the tourism industry, we as well need to get with the technological times. We have so much potential to use our best assets to drive tourism, extend the stay of visitors and wanting them to come back for another stay before they even leave the airport on their current visit. These are simple matters that does not have a huge cost attached and the reward – significant. Let’s reach Vision 2020 by 2018! It can be done if we put our creative ideas into actions. I had visited Aarhus, Denmark, in 2007. Being the second largest city, the influx of young people and students pursuing education make it a natural place for cultural activities and meetings spaces, which include cafes, theatres, museums, social spaces, concerts and festivals. Additionally, it has a history of Viking culture dating back to the 7th Century. I live near L’Anse Aux Meadows World UNESCO Heritage Site where the Vikings were the first known Europeans to re-discover North America more than 1,000 years ago (Read more at Parks Canada www.pc.gc.ca/eng/lhn-nhs/nl/meadows/index.aspx). Therefore, I was interested in visiting the Viking Museum, which was in a small room in the basement of a financial institution. The city had much to offer, so much that I planned a vacation to return to Europe in 2012 that incorporated this country and Iceland as I pursued some further exploration of the Viking. A weekend in Copenhagen with a Swiss and Swede proved to be quite exciting, from walking the waterfront to riding the world’s oldest roller coaster in Tivoli, it was more than memorable. I’ve selected a few images, which I thought would get the movers and shakers of the Great Northern Peninsula thinking of new ways to share our unique experiences. 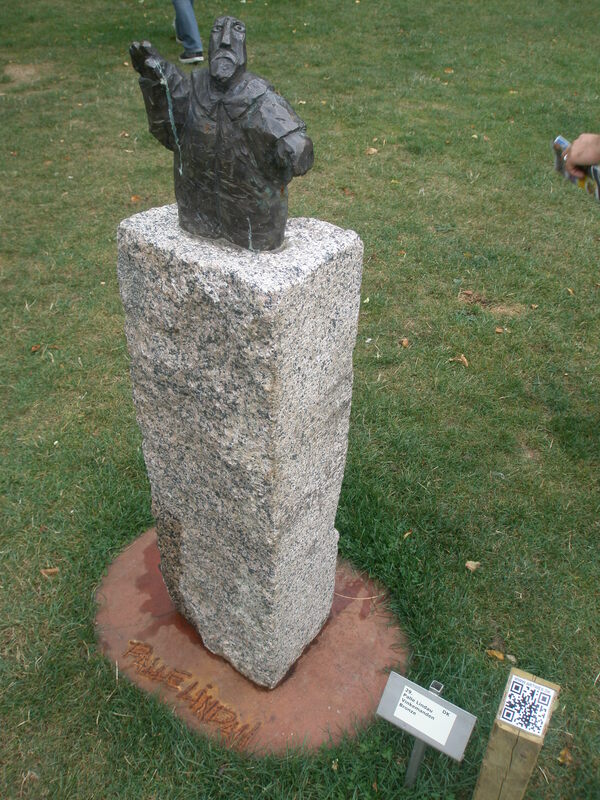 A walk through a park incorporated a number of notable figures. 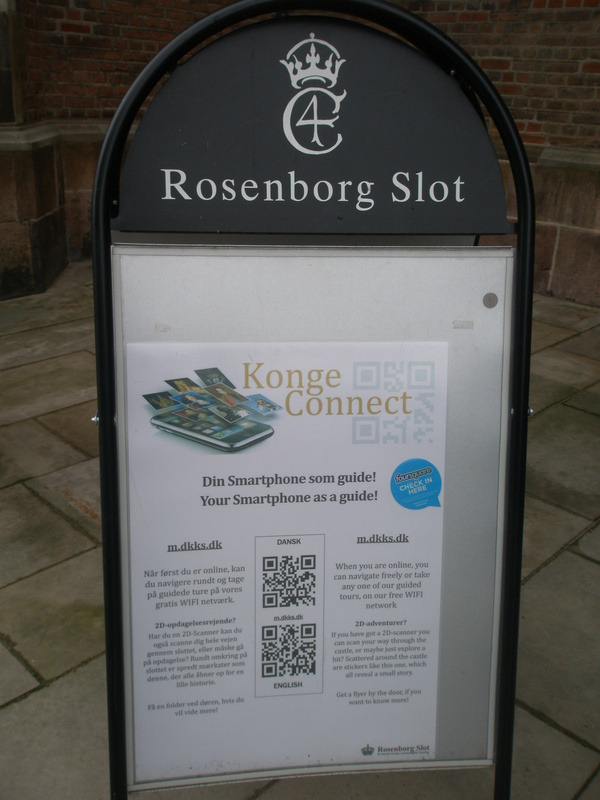 It was interesting to see the bar code by the statue’s nameplate, highlighting a simple scan of a tablet or mobile device would link to a website with more information about the attraction, history and artist. This use of technology is adaptive and tapping into the new wave of tourist. Websites can list additional information and can be translated in many languages, which is far more limiting with storyboards and panels. However, you need to have basic telecommunications infrastructure to fully utilize this marketing initiative. The Town of St. Anthony in partnership with Grenfell Historic Properties may want to consider adopting this technology given the number of tourists and good cellular coverage. Additionally, Parks Canada’s L’Anse aux Meadows World UNESCO Site and Norstead – Viking Village & Port of Trade would also benefit, yet they have less desirable or nil cellular coverage. 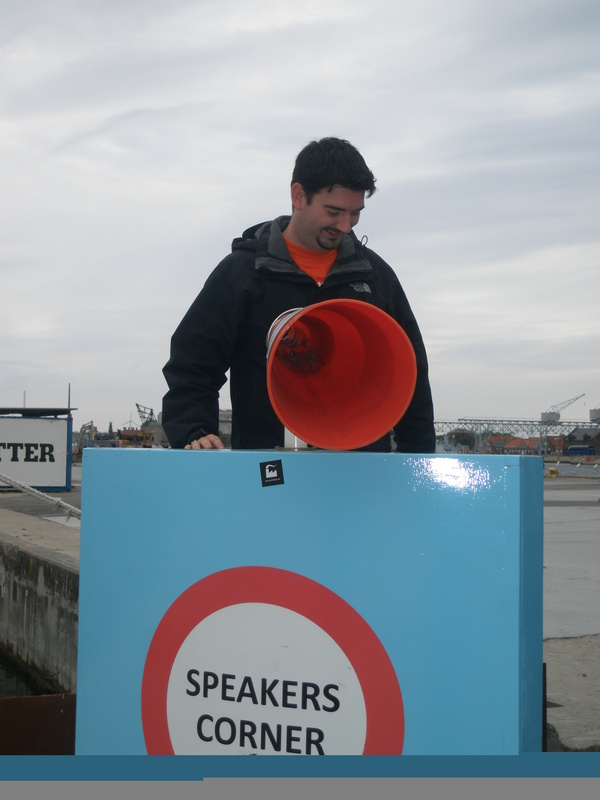 On the waterfront there is a Speakers Corner set up. This is a simple offering, but certainly one of which we stopped and delivered compelling speeches on issues. There is an Agree section and a Disagree section where people can stand. It may be fun to take a minute or two with friends or group of passer-bys. Whatever the case, this simple addition is a photo-op waiting to happen. 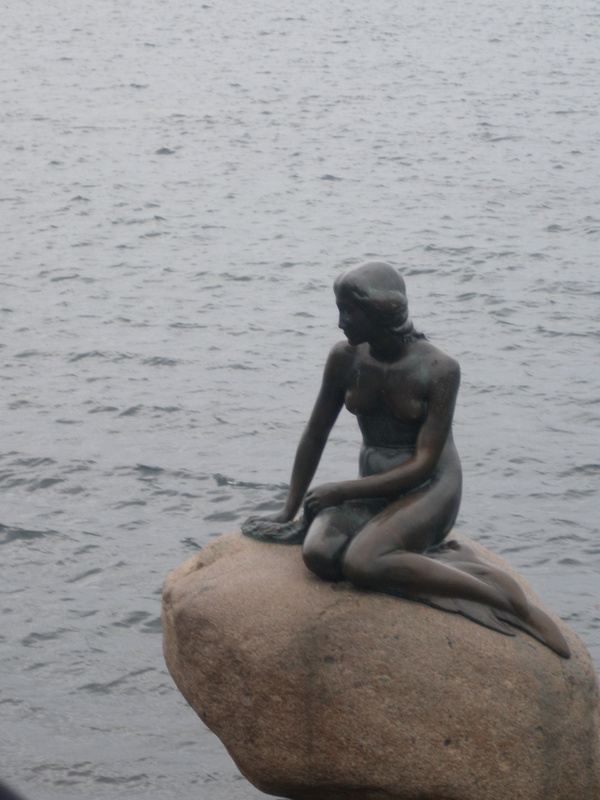 The iconic 4 foot little Mermaid statue is nearly 100 years old and a relative long walk from city centre. Yet, a place tourists flock to get a snap. A simple statue has created economic spin-offs that have local venders, buskers selling miniatures, postcards and another reason to visit. Manneken Pis is another small iconic statue of a little boy urinating into a fountain in Brussels, Belgium. The statue gets dressed in costumes several times a week. While in Brussels in 2007 I paid admission to the museum which is home to the hundreds of past articles of clothing inspired by countries all over the world he has worn. The Canadian outfit was past Montreal Canadians hockey attire. If we get creative we can develop unique economic spin-offs. People may want to purchase a souvenir of this small statue wearing their countries clothing or begin a collection of their own. 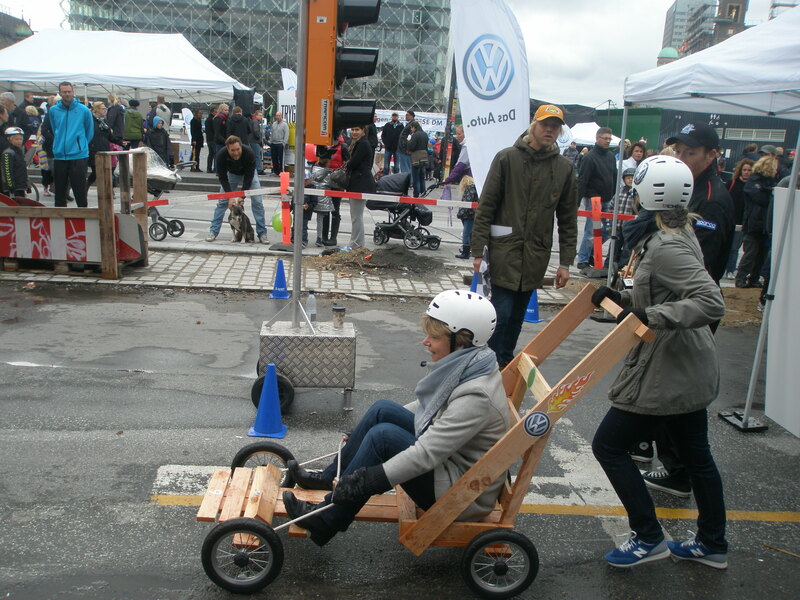 Volkswagen hosted a two person racing competition in the street. There were line-ups of people wanting to participate. The business community can sponsor an event, get involved to promote their products and services. Every place I visit, either large or small has a unique offering. I get inspired by visiting new places, talking with new people and encourage you to do the same. The Great Northern Peninsula has a unique product – if you choose to visit, you surely will take away memories that last a lifetime.